Today, only 30% of people with cognitive disabilities are employed. Digitability's mission is to reverse this trend by preparing students to transition to their independence by teaching them work-ready skills required to gain meaningful employment in our tech-driven workforce. As Digitability's Customer Success Manager (job description and application instructions below) you will play a key role in supporting the implementation of our award-winning pre-employment transition program. If you're motivated, are a critical thinker, curious and enjoy collaborating with colleagues to grow something bigger than yourself for the greater good, you could be the perfect fit. Even if you don't have every skill, please, we'd love to talk to you! 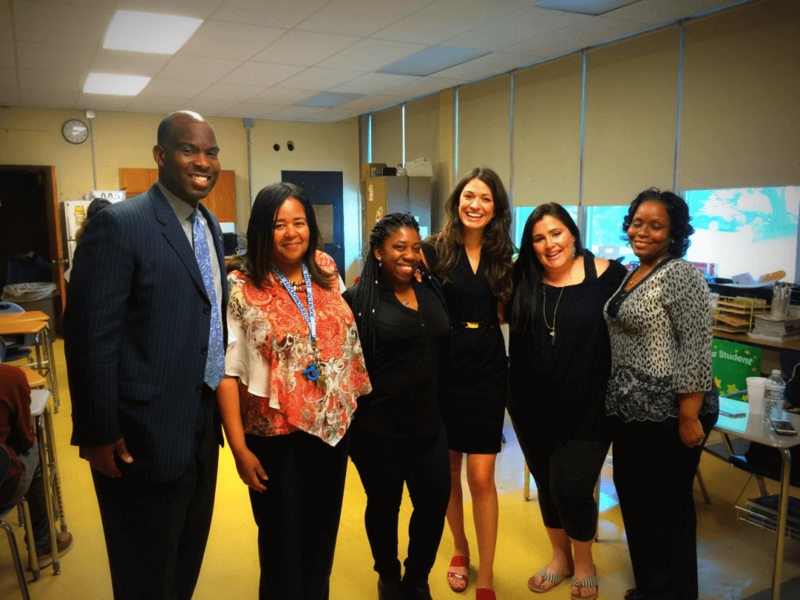 Digitability CEO, Michele McKeone, is joined by Philly Councilman Derek Green and special education teachers to see how Digitability is used in the classroom to teach students work-ready skills. Digitability's Customer Success Manager for Special Education is responsible for ensuring the success of each and every teacher, school and organization implementing Digitability in their special education classroom, jobs program or workplace. Knowledge of special education and cognitive disabilities is strongly desired. In this role, you will also work closely with our sales and marketing teams who will support you in your role to ensure Digitability's customers and students successfully use the technology. This role will involve developing sales skills and candidates should be motivated to work closely with the CEO and Digital Marketing Director to achieve sales goals. Develop and execute implementation monitoring plans and review data to measure impact on efficacy and fidelity. Develop and recommend evidence-based practices such as principles of Applied Behavior Analysis to help teachers support their classrooms. Meet with, call and video conference with teachers to develop strong customer relationships. Meet with, call and video conference with administrators and supervisors to develop strong customer relationships. Support the sales process including outreach, nurturing, renewals. Collect and organize feedback from teachers to improve product offerings. Facilitate training sessions for teachers and administrators. Develop implementation reports for customers to include quantitative and qualitative data. Develop and manage curriculum assets and training materials. Develop and execute a tiered support process for teachers. Prepare periodic reports showing usage data such as number of students, average scores, and rate of implementation. Execute a systematic timeline for customer milestone communications that support the sales and marketing process. Establish and maintains relationships with industry influencers and key strategic partners. 3+ years of teaching in a special education classroom. Knowledge of ABA Therapy and other interventions used in special education. Passionate about digital literacy and savvy with Google products. Education-related sales experience in the K-12 environment. This is a full-time position in a fast-paced startup culture. You will be responsible for generating and closing sales for a startup and therefore will be expected to pitch in at all levels of the process while developing a scalable sales infrastructure. Travel will be primarily in the Northeast US, but you will be expected to attend industry events and conferences around the country on a regular basis. As an early stage EdTech SaaS company, our focus is to rapidly grow and scale the business by continuing to market and sell our technology into schools, service providers and now corporations who want to use Digitability to train their workforce and meet their diversity and inclusion goals. Digitability is headquartered in Philadelphia (Northern Liberties) which is a thriving area known for its amazing food and historical significance. Philadelphia offers plenty of city life to enjoy, with a laid­ back vibe that matches the company culture at Digitability.